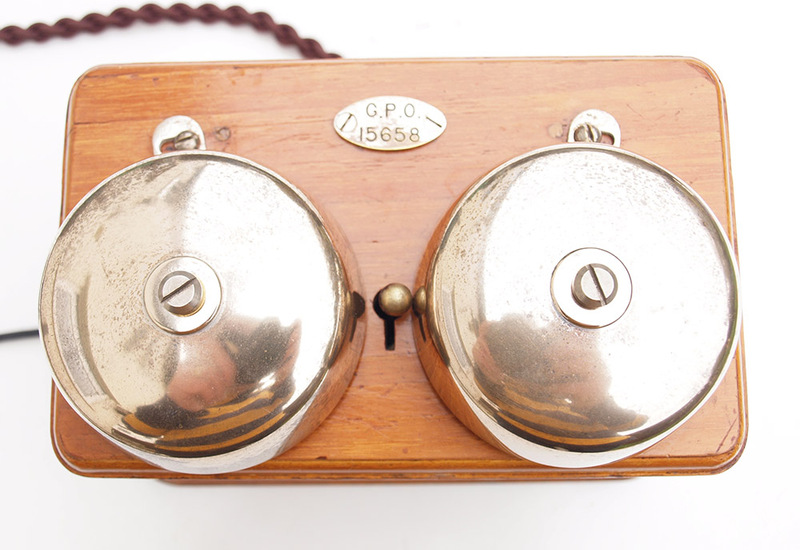 This is a beautiful telephone and comes with a rare GPO desk bell box. 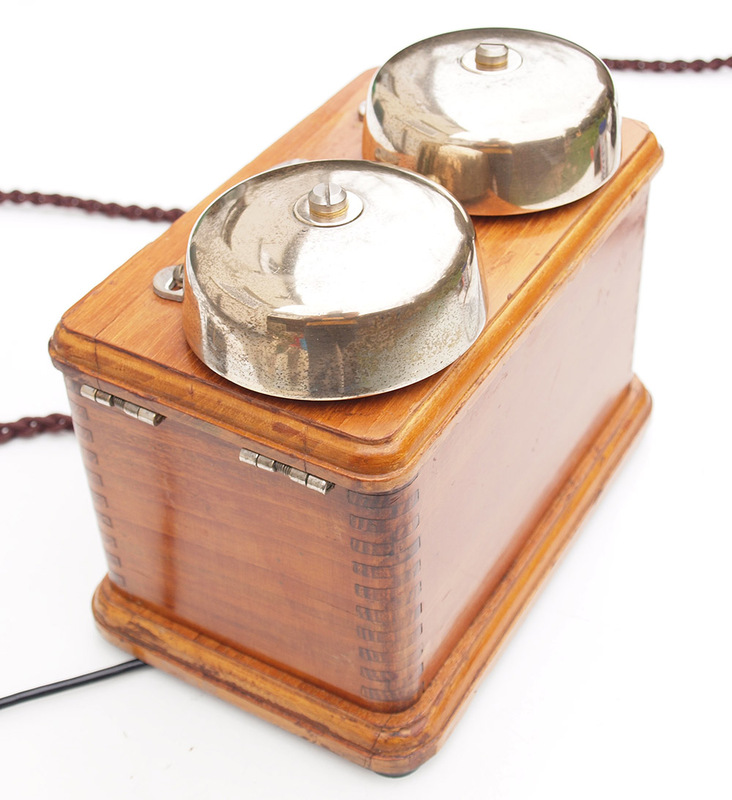 The bell boxes rarely turn up and so very sought after as no need to mount a box to the wall. 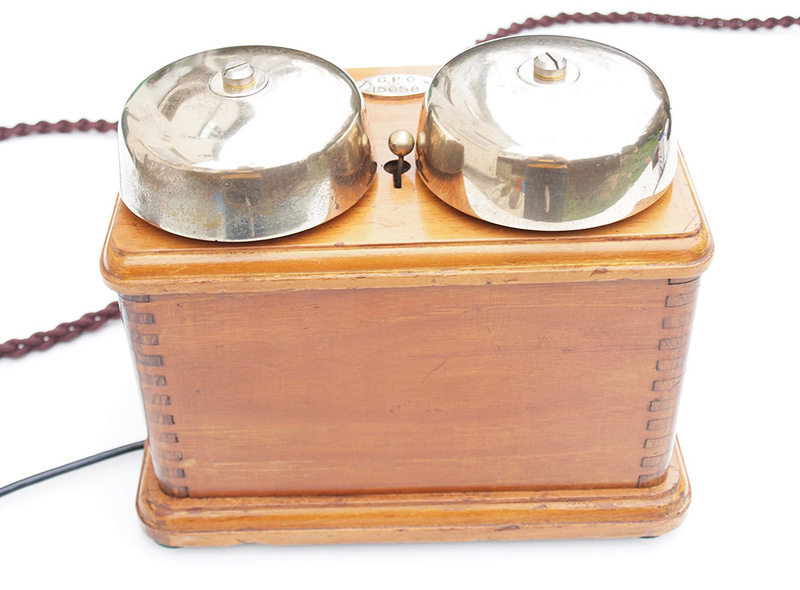 This is a genuine GPO No150 candlestick telephone. Marked AK 23 denoting (1923) 234 and No82 crossed through and No150. 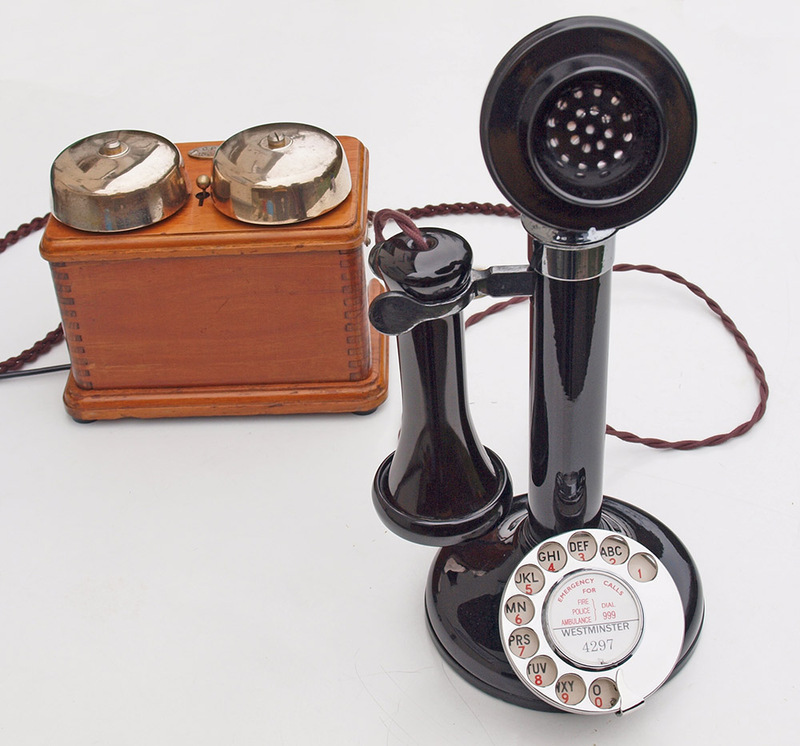 This telephone has been totally stripped down. This included removing all the paint and then re-assembled after being sent away to be professionally re-finished to a perfect gloss and in as new condition. 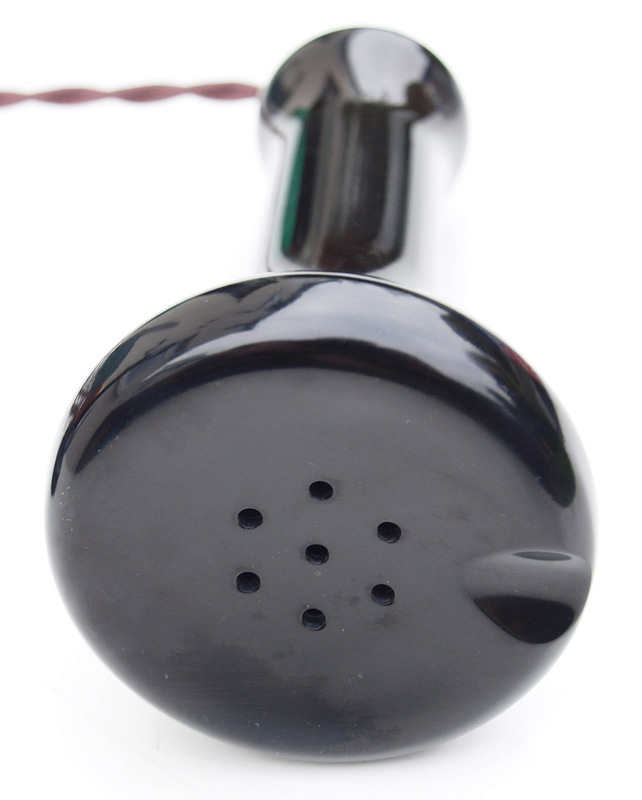 The earpiece has been polished back to its original deep black gloss and retains all its original internals except for the modern electronic microphone to bring the speech quality up to modern standards. The original GPO receiver unit is still in place as this still performs to a very good standard. I have not had this one black plated to keep it as original as is possible as the plating is very good. Please be assured this is not a reproduction but the genuine article. 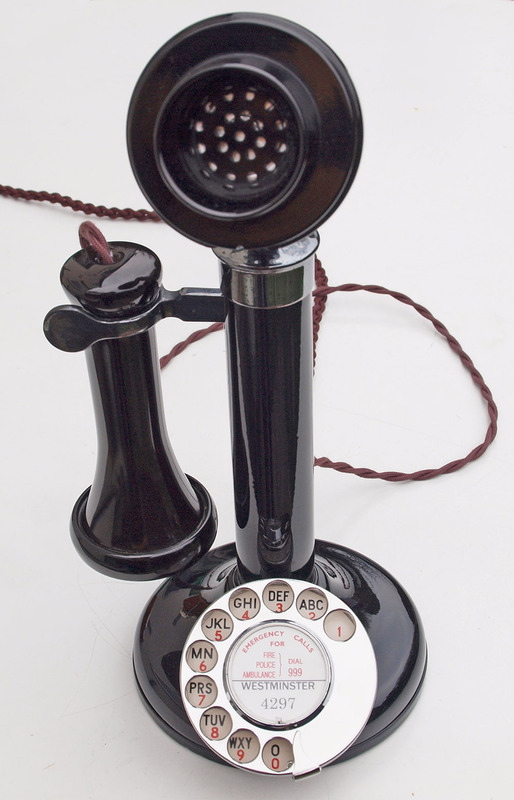 This really is a stunning telephone and not one to hide in a dark corner but to display, use and enjoy. 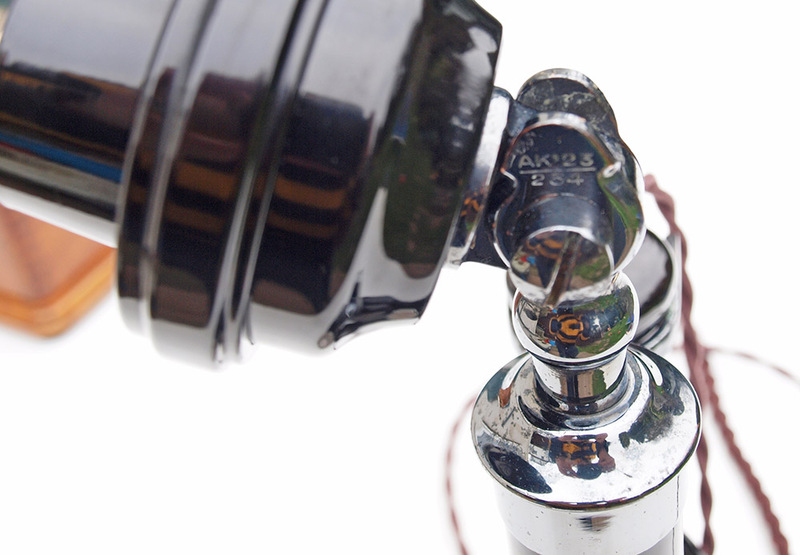 The dial is a genuine GPO No12 with an alpha numeric dial face. Now to the GPO bell box. 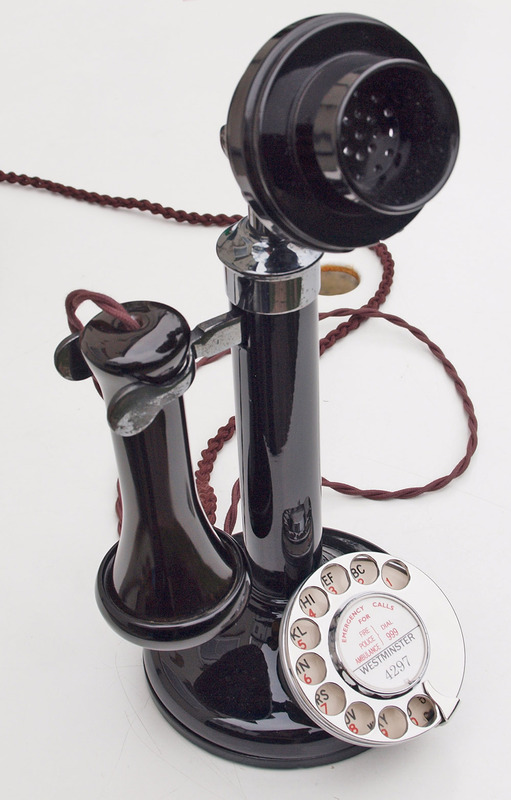 I have fitted it with a 1940s speech coil to allow the telephone to work perfectly. 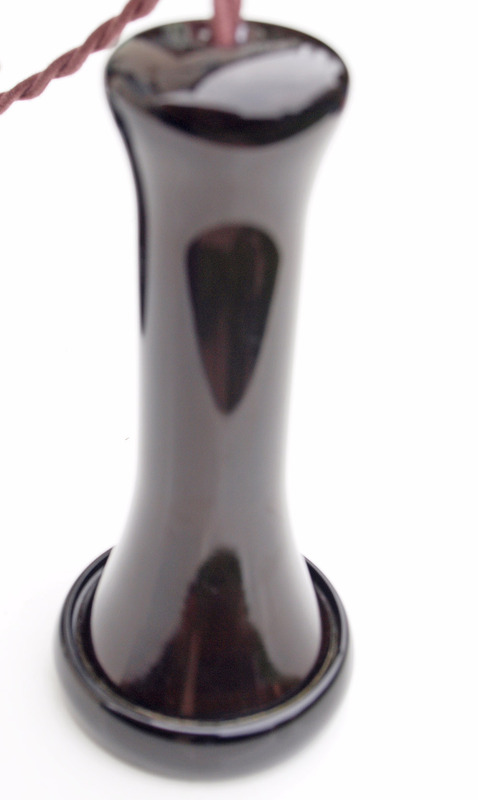 The wood has been polished to bring out the grain and beauty of the wood. 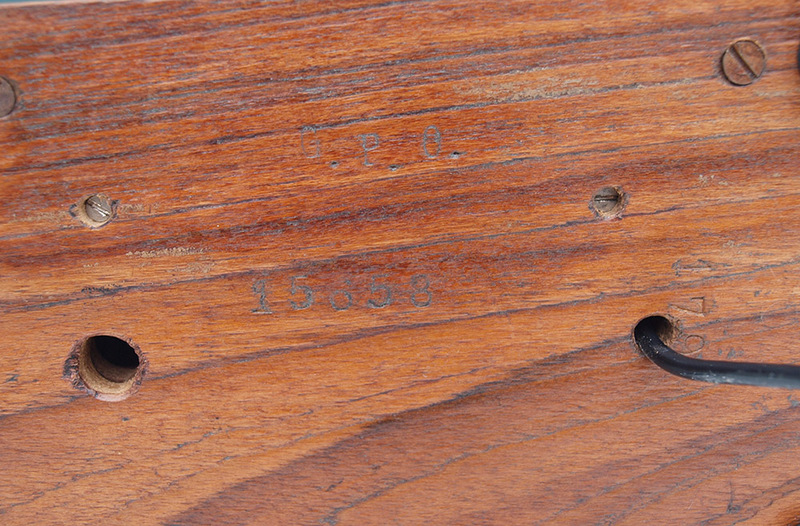 The top has a crack in the wooden lid but not obvious. It has a GPO brass label marked G.P.O. 15658 and also on the bottom. It has been upgraded to work perfectly and so not as manufactured. 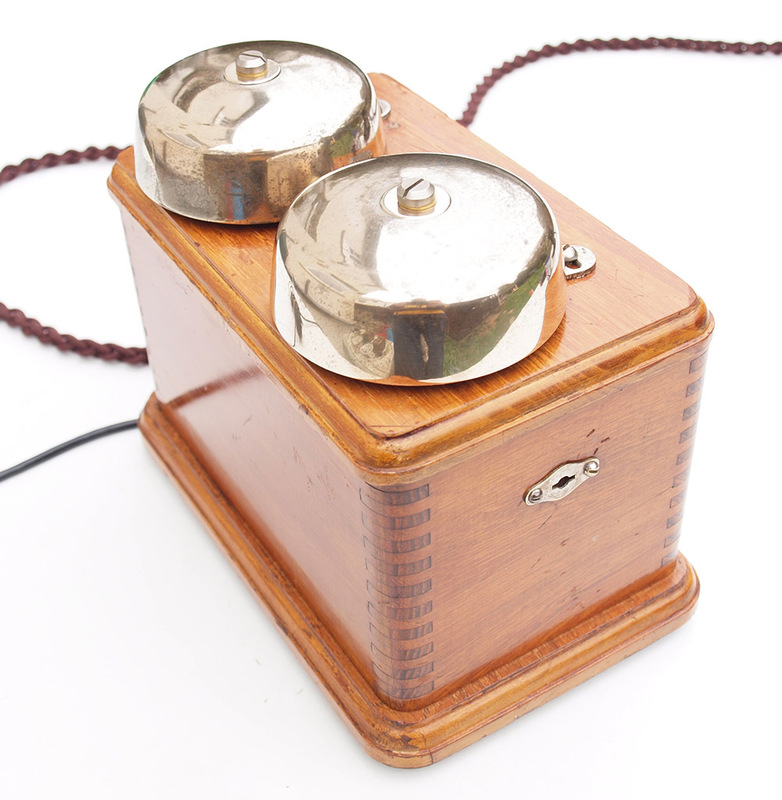 Candlestick telephones need to have the speech coils in the bell set to make it work correctly and many sold have a standard No1a bell box and will perform very poorly and will be almost unusable. 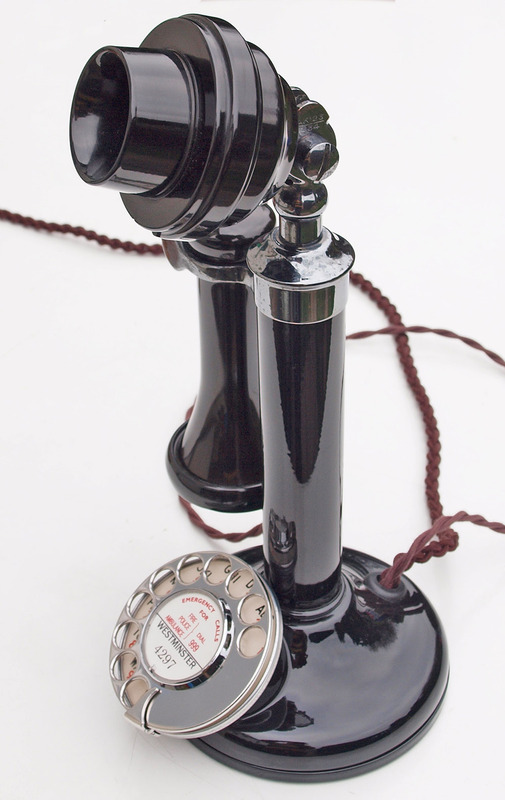 This is a very sought after item because it can be placed on your desk with the telphone and looks fantastick. 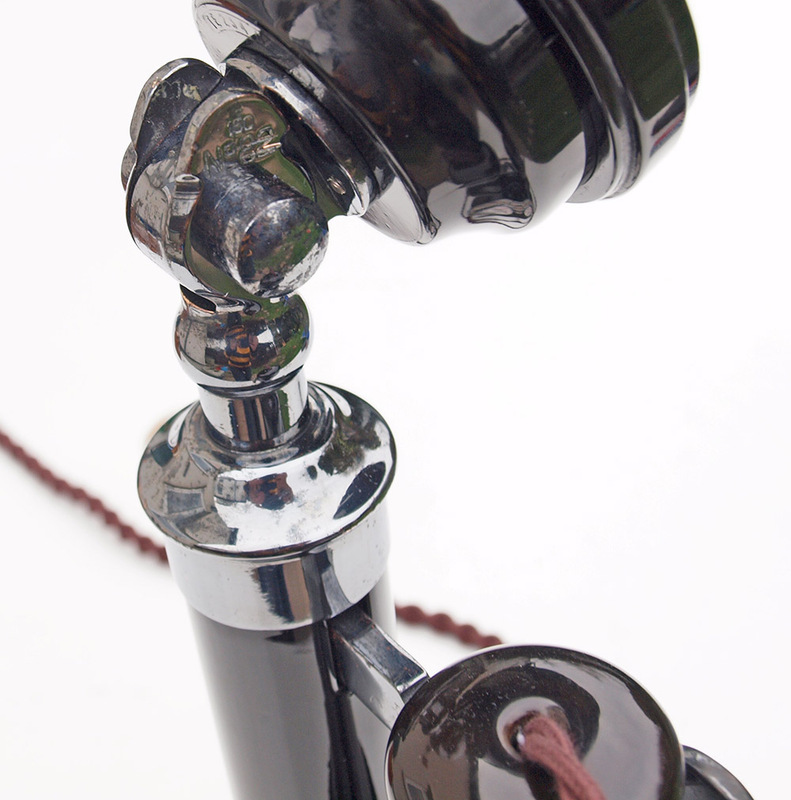 This telephone is ready to plug in and go and will dial out and receive perfectly on modern telephone lines. I can make a dial label with your information at no additional charge.